Hard work and patience came together this week. Not only did Sarah graduate with a B.Sc in Honours Agriculture from the University of Guelph. Lee started his new job as Customer Service Manager at AGRIS Co-operative, Brigden Branch. 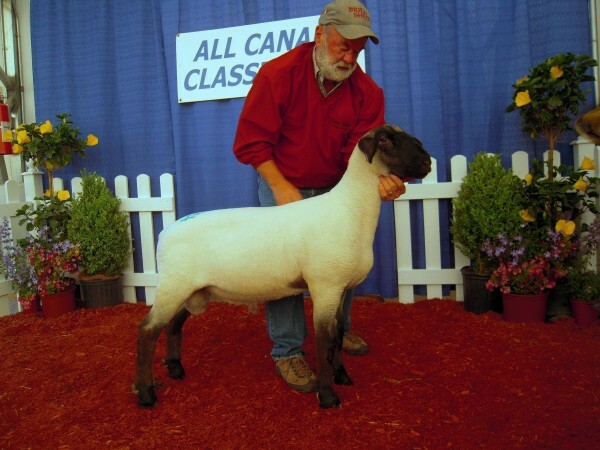 Our Dorset Ram – Brien G&L 77X, a son of Tattykeel “Rippa” sold for $4000.00 to Shereff Stock Farms, Carberry Manitoba setting a Canadian record at the All Canada Classic 2012 in Truro, Nova Scotia. 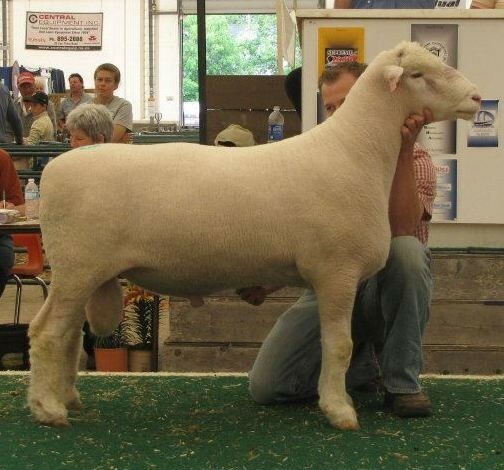 The icing on the cake, our Texel yearling Ram – Brien G&L 1Y was Supreme Champion ram of the show and sale. 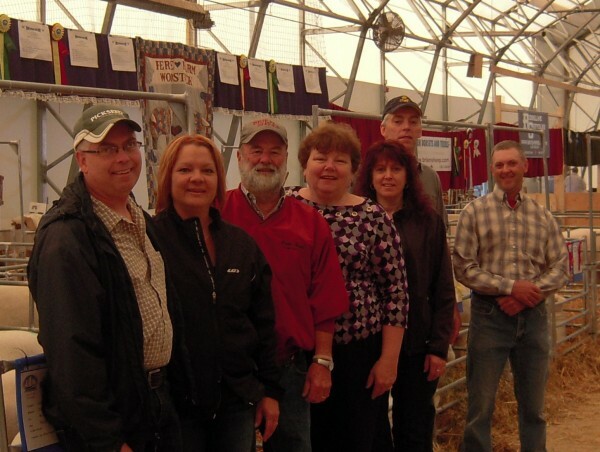 It was very gratifying to have so many sheep producers from across Canada show their interest in our sheep at the pens and in the sale ring and recognize what we have been working toward. Sheep with meat in them are in high demand. We want to send a big thank you to everyone who stopped by our pens to look at this ram and handle him, and also to everyone who bid on him. Thank you also to everyone who bid on or bought our Dorset and Texel breeding stock at the sale including the Supreme Champion Ram – Brien G & L 1Y. This Texel ram is a meat packer. His muscling and length and width of loin are sure to increase carcass weights on his progeny. We wish the MacDonald flock great success with him. Purchased by Peter McDonald of New Germany N.S. We hope all our buyers have great success and flock improvement using our breeding stock. Our best success is our buyer’s success. Special thanks to the people who helped us with the sheep in Truro and on show day. They helped with our hectic week. While I flew back to Guelph for Graduation, they chored and watered our sheep in Truro and David was the “man on the phone” with Shereff Stock Farm during the sale. Thanks too, to Jason Emke and Hannah Porteous who helped on show day. We still have rams of all breeds for sale at the farm. 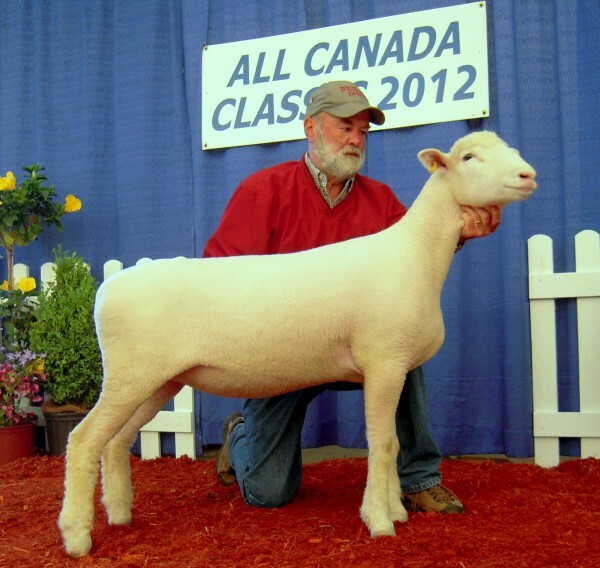 We have consigned one Dorset Ram and one Texel Ram to the Ontario Suffolk Sale July 21st in Listowel. They will be the same bloodlines that we had in Truro. 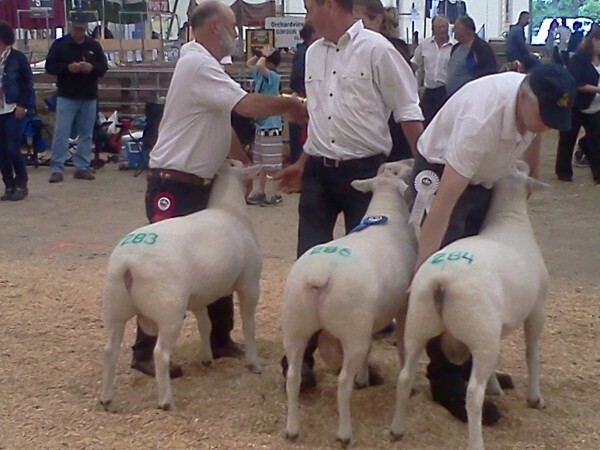 Ridgeline Suffolks had a satisfying showing at the Truro Classic too. The Suffolk classes were strong with a top five finish out of a solid and competitive class of twenty-one for our solid yearling ewe and fifth place finish for our growthy junior ram lamb. 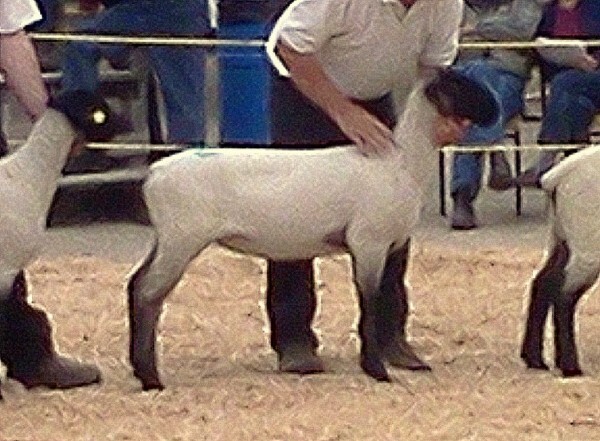 Our junior ewe lamb stood ninth and was one of the youngest in the class. She has lots of growth potential for her new owner and will turn into an excellent brood ewe. We wish all our buyers success with our Suffolk breeding stock. 5th place Suffolk Yearling Ewe. Thanks to Shady Pastures Farm, Newport NS on her purchase. 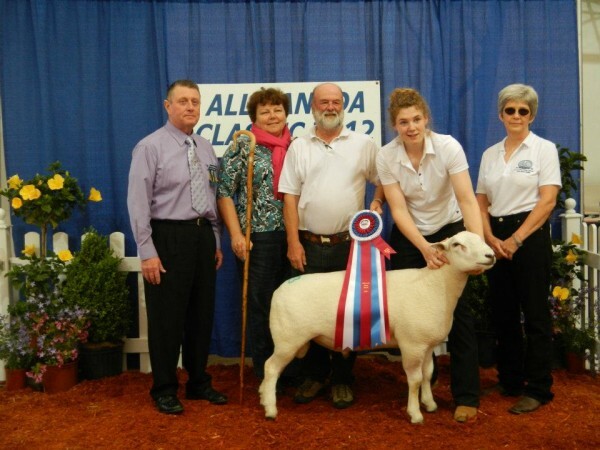 5th place Suffolk Spring Ram Lamb. Thanks to Roz & Rick Moscovits, Salt Springs, NS on his purchase. 9th place Suffolk Spring Ewe Lamb. Thanks to Philip Berton, Springville NL on her purchase. 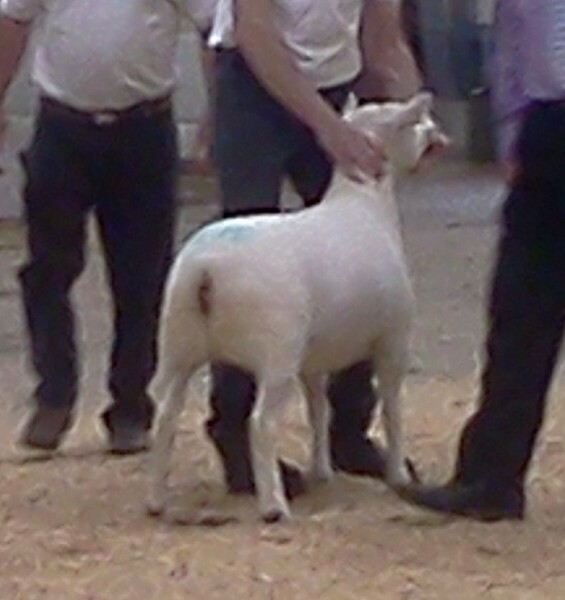 2nd place Dorset Fall Ewe Lamb. Thanks to Bruce and Dawn MacKinnon, Iona Station, ON on her purchase. 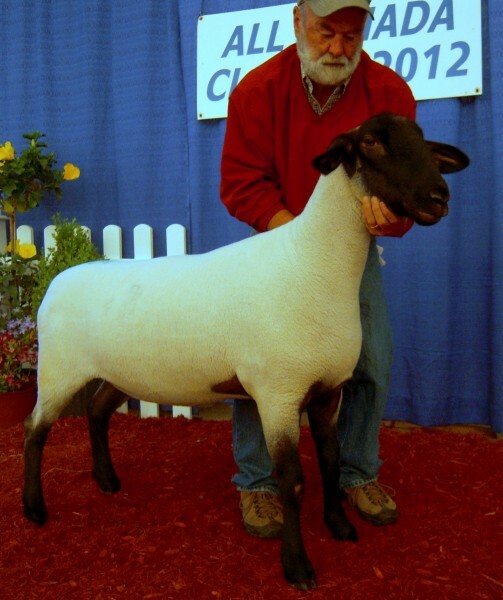 Also thanks to Stephen Faulkenham, Laconia, NS on the purchase of our Dorset Spring Ewe Lamb. Champion Texel Ewe thanks to Frank Burrows St. Andrews NS on her purchase. Lot 283 Supreme Champion Ram purchased by Peter MacDonald New Germany NS. Lot 284 3rd place Texel Yearling Ram purchased by Trenholm Nelson Kingsbury Qc. Thanks to both on thier purchases.